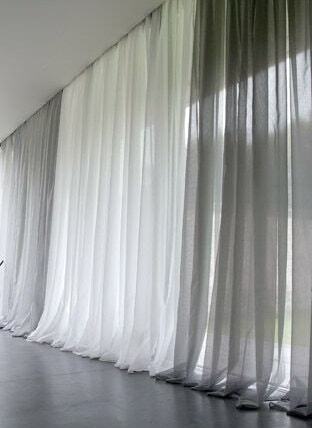 AD Couture Home luxury drapes and sheers are high quality at affordable pricing. Offering top of the line designer fabrics make these custom drapes both visually appealing with quality that surpasses all others. The single width sheers in the pole pocket style come in 56" width (one sheer will cover a window 25" - 35" wide). Two sheers will cover a window 50" - 70" wide. 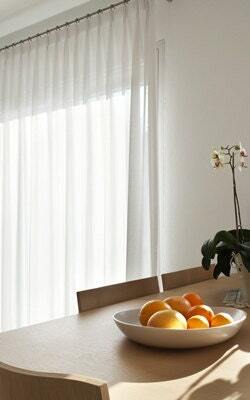 The double width sheers in the pole pocket style come in 116" width (one sheer will cover a window 45" wide - 65" wide). Two sheers will cover a window 90"- 130" wide. Smaller or larger sheers can be custom ordered. Message us for a quote. 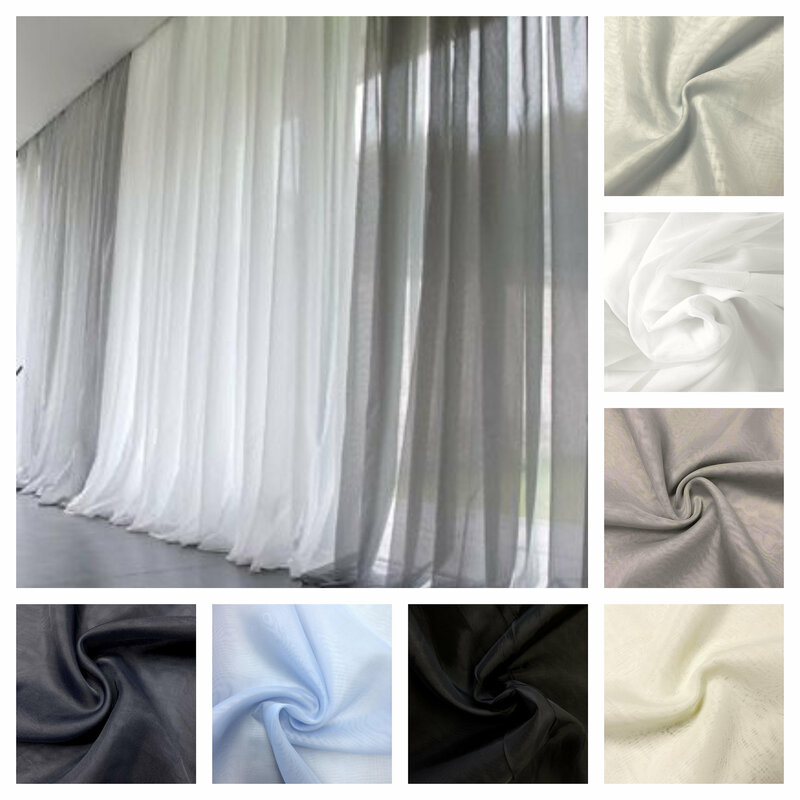 Custom listing is for each pole pocket sheer drape or each pleated sheer drape in one of the color choices. Choose from the following pleated options: Euro, inverted, pinch, cartridge, goblet, and pencil. When ordering put the pleat style in "message to seller" box at checkout. 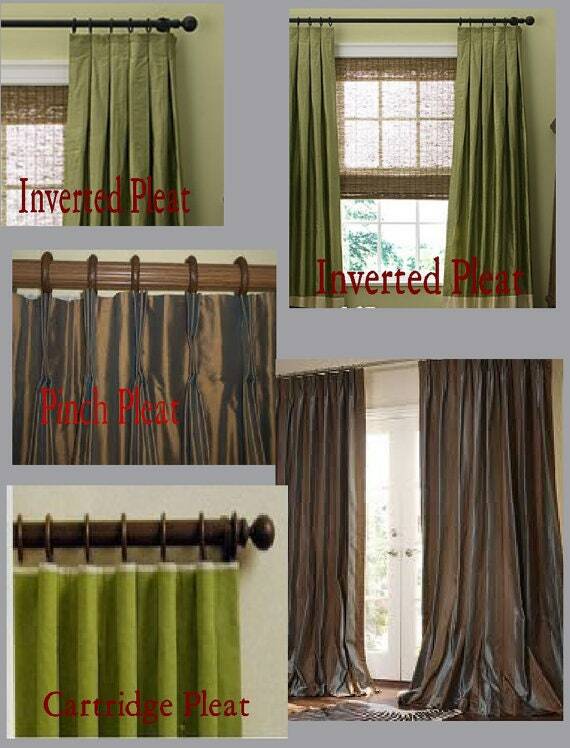 You can choose a 50" wide pleated drape in various lengths in the drop down box above. If you aren't sure what size you need just message us the exact width of your window or curtain rod and we can tell you the pleated drape width you would need. We can do drapes in any size for you. We offer wholesale pricing and interior designers life time discounts. If you need 4 or more panels, message me for a custom listing. We offer 10% off orders of 4-5 panels and 15% off orders of 6-19 panels and 20% off 20 or more panels! Don't see the size you need? Just message us, we can do any size. Listings are for one panel! We do custom orders on any of my drape listings with whatever fabric you choose. Contact me if you need a size, color or print other than what is listed.